I wrote about the runner on the left last week. She was the 2nd place age group finisher with the below splits. I did not see the above photo initially, it was not tagged to the runner I was investigating. Further review showed the runner on the right finished first in her age group before being disqualified for cutting the course. The runner was initially credited with a time of 1:40:24, one second behind the first runner. She also was missing splits. The runners pictured below both finished 3rd in their age groups before their results were removed for cutting the course. 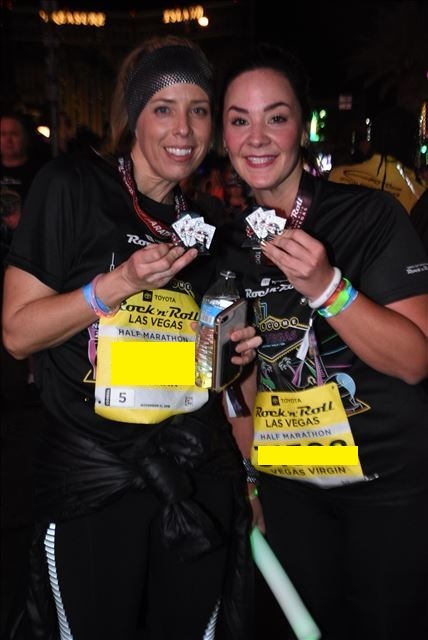 They ran the race together, and they both only hit the 10k timing mat, with a much faster pace calculated over the portion of the course where they were not detected. 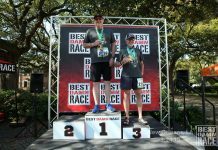 There was yet another runner that claimed a 4th place age group finish that showed the same pattern of turning around after the 10k timing mat. All these runners have been disqualified, and will be removed from the published results. Including the other runners I wrote about previously, there were three separate groups of friends that claimed unearned medals. 5 of the 7 runners finished at the top or near the top of their age groups. The two without bibs appear to have bandited the race. Every contribution helps. 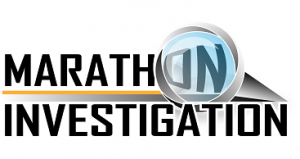 I am currently working full-time on Marathon Investigation. The only way to sustain this level of effort long-term and maximize my efforts to catch and act on all known cases of cheating is through your support. Please consider a small contribution. If you represent a race, feel free to reach out for partnership opportunities. So did these cheaters actually claim their awards? Or were they disqualified before they were able to do that? I would guess the rightful age group winners did not receive any recognition that night. Derek takes days to figure this stuff out. And many of the cheaters/imposters probably never knew they placed. I would consider someone much more slimy if they knew they cut the course and still claimed their age group medal, as many people on this website do. Results are available almost immediately on their website and their app. Nonetheless, to brag about their “finish” on social media and know they did not run the entire course is proof they will cheat their finish time and cheat another runner out of an award. The AG awards are mailed to the winners about 6 weeks after the race. Only the Overall winners receive their awards that night. I wish race directors had the budget/desire to have a person stationed near the finish taking numbers of those who wish to be taken out of age group award contention. 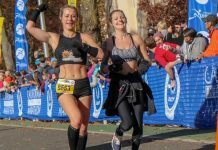 This website is amazing, but most people are unaware of marathon cheating. 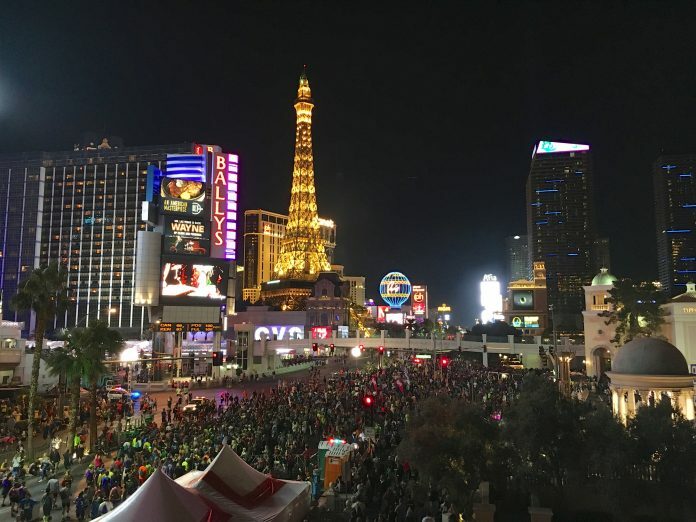 I know that a majority of Vegas “runners” come for the party. If they were educated that they are stealing the spotlight from a deserving age group winner, and had a person they could easily inform that they did not complete the full race, I think more would do so. 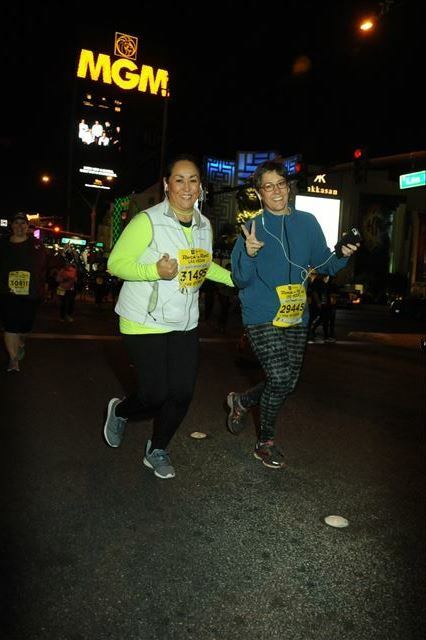 I live here in Vegas, but I’ve never run the Vegas RnR because it’s a crazy (and expensive) zoo and I don’t like the experience of dodging happy drunk people when I’m trying to run a good race. Solution: For an extra $5, they give you your medal at packet pickup. That’s right…they can get it *before* the race! Call it a “marathon fun run? !” Then on race day, participant shows up and takes all their medal photos for social media. As for the race, their results go in to a separate non-competitive listing. And make it clear…”if you’re having a bad day, feel free to turn around and get to the finish line early. 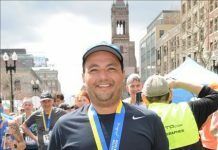 It’s ok, because, well, marathons are hard.” Most of them will be done in 30 minutes, they will have what they came for and the number of “real marathon” cheaters will be reduced by a large amount. The race makes a little extra cash on them too. Regarding the two women at the bottom who are race bandits, why oh why did the volunteers give them medals? Simple solution- no bib, no medal! 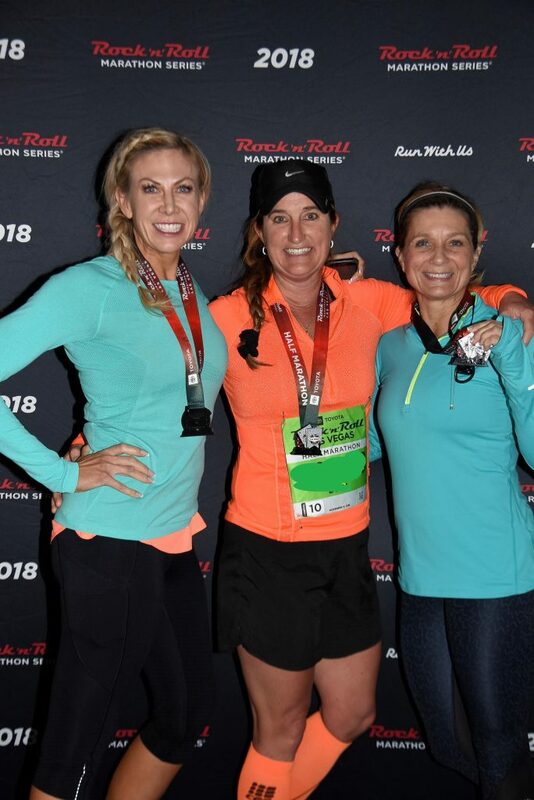 The two times I worked the finish line at the Dallas Marathon, we were instructed to be shown the bib (if it we could not see it on them) before handing them a medal. Bandit the race, fine, whatever…but do not take a medal!